The death toll for the worst ever migrant disaster in the Mediterranean could be as high as 950 said reports even as Italy's coastguard coordinated the search for survivors and bodies. 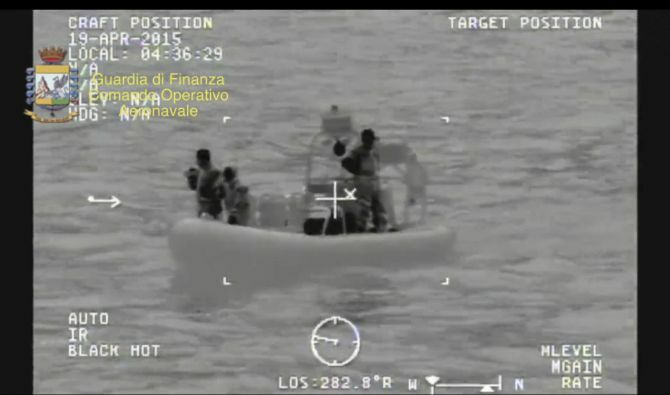 An overcrowded boat smuggling migrants to Europe capsized off Libya on Sunday. 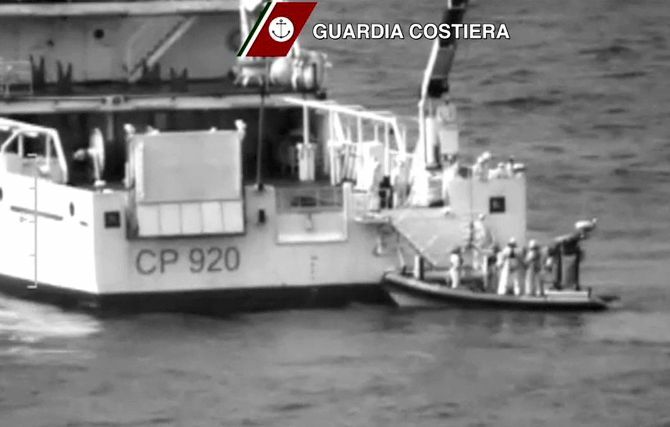 Italy's coastguard said only 28 people had survived the wreck. This is the latest tragedy in a long list of migrant disasters in the Mediterranean. 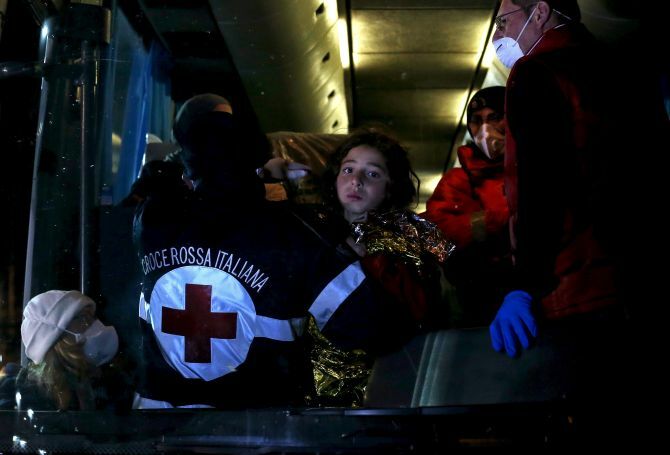 Italian prosecutors said a Bangladeshi survivor flown to Sicily for treatment told them 950 people were aboard, including hundreds who had been locked in the hold by smugglers, AP reported. Coastal authorities in Italy and Malta picked up a distress signal from the stricken vessel around midnight (2200 GMT) on Sunday, when it was about 70 miles (126 km) off the Libyan coast. After news of Sunday's disaster several government leaders called for emergency talks and EU foreign policy chief Federica Mogherini said foreign ministers would discuss the immigration crisis at a meeting in Luxembourg on Monday. Pope Francis and others called for action over what many saw as an avoidable tragedy. European Council President Donald Tusk said he was considering calling a special meeting of EU leaders, a summit that Renzi had called for earlier. Officials said that according to survivors' there had been about 700 people on board the 20-metre (70-foot) fishing boat when it keeled over in darkness overnight. "It seems we are looking at the worst massacre ever seen in the Mediterranean," UNHCR spokeswoman Carlotta Sami said. As Italy demanded an emergency summit of European Union leaders, talks at the level of foreign ministers were scheduled for tomorrow to discuss what Amnesty International blasted as a predictable "man-made tragedy", AFP reported. Eighteen ships joined the rescue effort and helicopters worked into the night to find possible survivors. 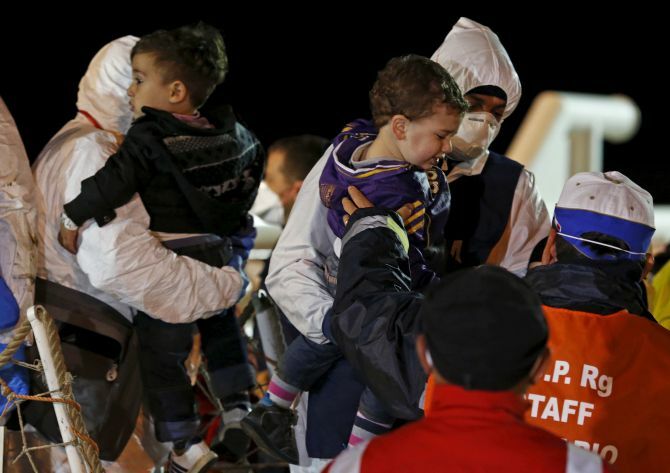 UN Secretary-General Ban Ki-moon said the latest tragedy is an urgent reminder "of the critical need for a robust search and rescue capacity in the Mediterranean," in a statement released late Sunday by his spokesman. Ban said the Mediterranean has become "the world's deadliest route used by asylum seekers and migrants." Italian Prime Minister Matteo Renzi said the coastguard would seek to salvage the boat and ensure any corpses recovered from it were given a decent funeral. The UN High Commissioner for Refugees, Antonio Guterres, said, "This disaster confirms how urgent it is to restore a robust rescue-at-sea operation and establish credible legal avenues to reach Europe. Otherwise people seeking safety will continue to perish at sea." Sunday’s disaster was the latest in a growing number of drownings of migrants attempting to reach Europe on overcrowded, unseaworthy boats. Did Cuban cigars thaw US-Cuba relations?